There is a high threat from terrorism, including kidnapping. The main threat comes from extremists linked to Al Shabaab, a militant group that has carried out attacks in Kenya in response to Kenya’s military intervention in Somalia. 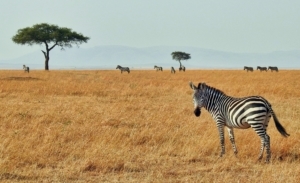 Kenya’s safari destinations in the national parks, reserves and wildlife conservancies remain generally safe for tourists to visit when part of organized parties. Mugging, kidnapping, car-jacking and armed robbery occur regularly, particularly in Nairobi, Mombasa and other large cities. ETS Risk Management has provided multiple Executive Protection, Secure Transportation and Intelligence related activities throughout Kenya. We work closely with local vetted suppliers of multi-lingual security specialists.